Senatorial bet and prominent lawyer who exposed the alleged COMELEC-Smartmatic syndicates, Atty. Glenn Chong responds to issues against him accusing the former Biliran Congressman of having more "Police Escorts" than usual. According to Atty. 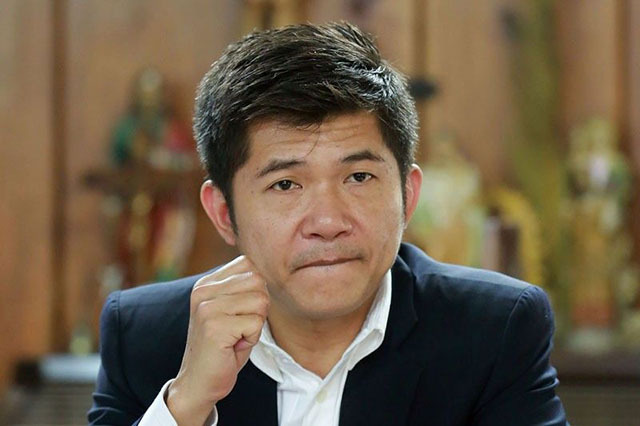 Glenn Chong, his enemies are really finding more ways to throw some dirt against him to discredit his credibility as an able expositor of the issue involving the alleged cheating in automated elections, but he promised they will never succeed with their plans against him. The veteran lawyer explained that the rules of the Comelec regarding security escorts is for the entire campaign period, in his case as a senatorial bet he will have at least 120 days. Temporary courtesies are not included in the said ruling of the Comelec, the security courtesies are provided by authorities if it is needed the most and of course to secure the areas and the persons that needed the most security in an event. In Atty. Chong's case temporary security courtesies are provided by concerned government peacekeepers around 1:30 PM up to 5:00 PM in the afternoon. Ang patakaran ng Comelec hinggil sa security escorts ng mga kandidato ay para sa kabuuang panahon ng campaign period. Sa kaso ng mga kandidato pagkasenador - 120 araw yan. Kung banta lang ang pag-uusapan, nasa stage ng Plan B na ang aking mga kalaban - for implementation na ito. Ang problema lang nila, alam na namin kung ano ang binabalak nila. Kaya sinisuguro ko rin na magkakamali muli sila tulad ng pagkakamali nila sa kaso ni Richard Santillan upang tuluyang mabitag at mabitay ang mga kriminal na ito. Malinaw na rubout ang nangyari kay Richard Santillan. Malinaw itong nakunan ng video ng mga testigo at inilathala namin ito sa video documentary na - Isang Kandila sa Dilim. Nobody can ever dispute the clearest evidence of rubout in this case. ANG MALINAW NA MASAMA AY ANG RUBOUT CASE NI RICHARD "RED" SANTILLAN SA ILALIM NG MGA MALULUPIT AT MALADEMONYONG DURUGISTANG MGA PULIS NI GEN. EDWARD CARRANZA AT KANYANG MGA OPISYAL SA PRO4A.